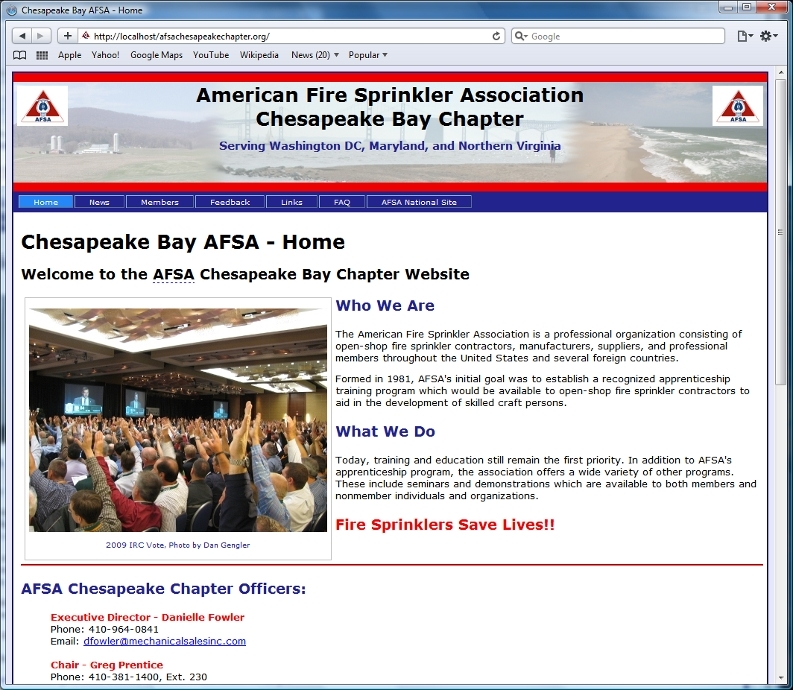 This is an example of a web site I designed for the American Fire Sprinkler Association, Chesapeake Bay Chapter. This website contains a guestbook, a contact form as well a custom header graphic created by me. In the future, I will be adding online polls and event calendars to the site.